Polytechnic chief executive Phil Ker said the talent he saw at the event continued the trend of the past two years. "What especially strikes me is the age range. "There are quite a number of young people here." 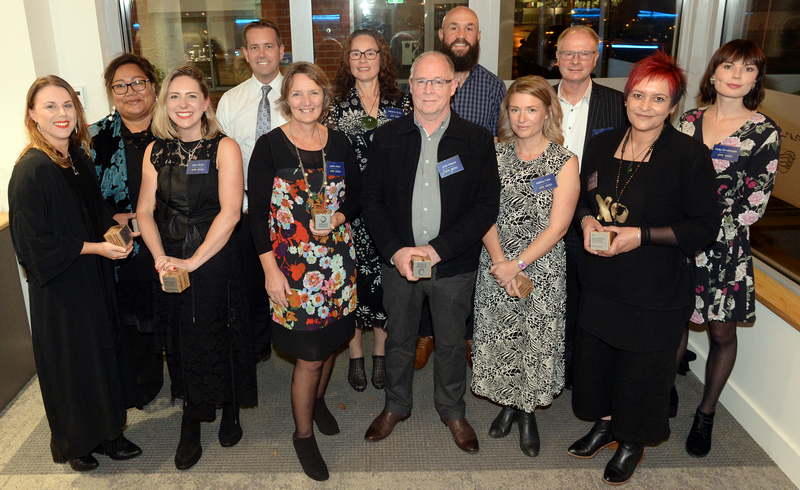 The recipients are (from left) Abby van Schreven, fashion design; Nimo Elisara-To’o, customer services; Sara Munro, fashion design; Justin Stonelake, McDonald’s franchisee; Lesley Dixon, midwifery adviser; Marianne Te Tau, clinical nurse specialist; Chris Weaver, studio potter; DJ Forbes, studying master’s of professional practice; Melissa Fuller, Work Ready co-ordinator; Alan Dowman, chief executive of Inovent; Kerri Oliver, social worker; Holly Zandbergen, artist. Absent: Holly Robinson, Paralympic athlete; Raylene Bates, athlete manager/coach; Kelly Brazier, professional rugby player; and Pernell Hartley, Hartley Consulting managing director.